Microsoft Windows Vista include many new features and enhancements. The most visible evolution will be the new Graphical User Interface (GUI). A first look at Aero (the name of the Windows Vista user interface) reveals a slicker interface with sharper graphics. Future LCD screens however will support resolutions up to 192 DPI. 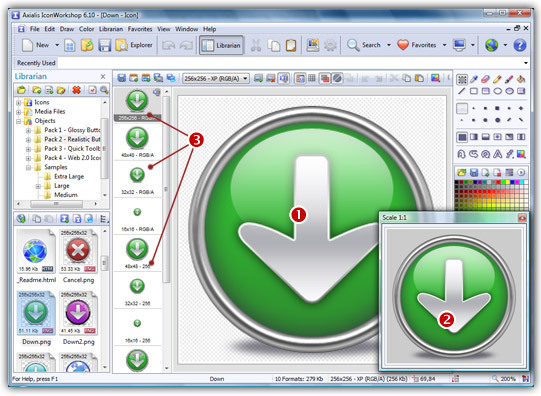 Therefore, to be displayed at the same size without quality loss, icons must include much larger images. That's the reason why Windows Vista introduces a new standard for Windows® icon size: 256x256 pixels. 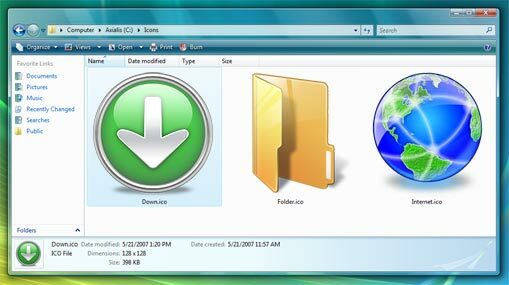 The screenshot below shows the Windows Vista File Explorer displaying icons using the maximum resolution available: 256x256. Of course the result seems a bit "large" on a 96-DPI screen, but keep in mind that this technology has been designed for future screens. The icon files have been created with Axialis IconWorkshop. The problem is: if you simply make the icon and save it in standard Windows® XP ICO format, the resulting file will be 400Kb on disk. The solution is to compress the images. Only the 256x256 images are compressed. The compression scheme used is PNG (Portable Network Graphic) because it has a good lossless ratio and supports alpha channel. The compressed icon sizes are 100Kb to 150Kb. The PNG compression is embedded in the ICO file for the 256x256 images only. 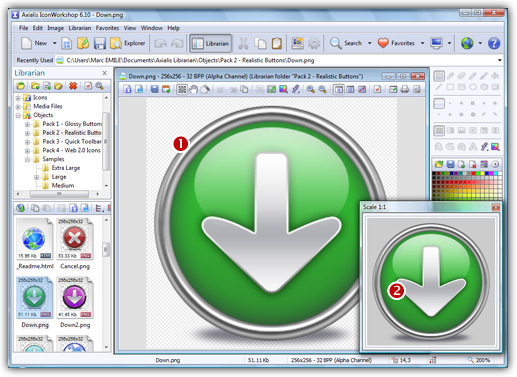 PNG compressed Windows Vista icons cannot be read and edited with an Windows® XP-only compatible icon editor, nor can you open them with a PNG image editor. 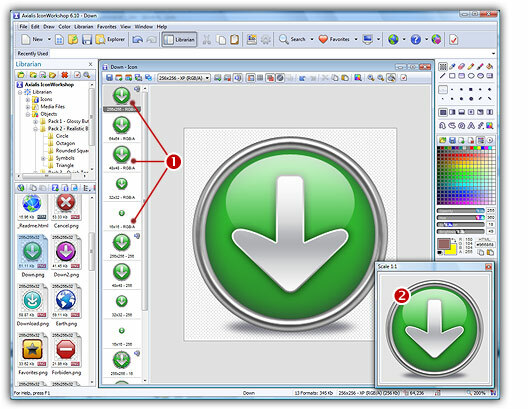 You will require a Windows Vista compatible icon editor, like Axialis IconWorkshop , to edit such icons. Windows Vista compressed icons are compatible with Windows® XP. They can be used in Windows® XP but only using the standard formats (48x48, 32x32 and 16x16) which will be read and displayed. The 256x256 PNG formats will be ignored. For example, if you save the down.ico (see link above) on your Windows® XP desktop, it will be displayed as 48x48. The most important fact is that Windows® XP won't reject Windows Vista icons. Can we add other formats, such as 128x128, in Windows Vista icons? Yes, but this is not recommended. 128x128 format is used by Windows® XP Desktop or Dock-Bar applications. These applications will probably support 256x256 icon format when ported under Windows Vista. Can we create 256x256 icons which display under Windows® XP? Simply by creating uncompressed versions of the icons. They will work on all versions of Windows. However, if you want to display at large size under Windows XP, you must install a Deskptop Enhancer application. The drawback is the icon file size: 400Kb for an icon! Using Axialis IconWorkshop you can easily remove the PNG compression option. 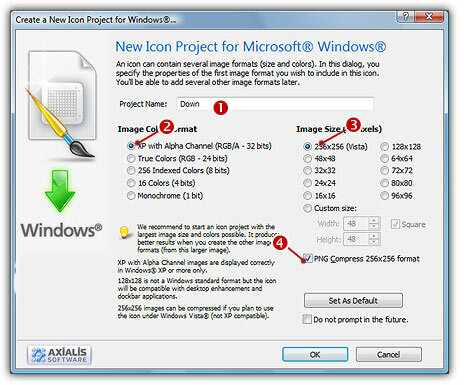 Here is a step-by-step tutorial on how to create a Windows Vista compressed icon using Axialis IconWorkshop. 1. 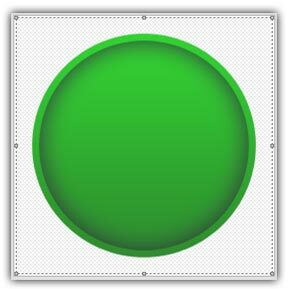 Create a 256x256 version of your icon image using any image/vector editor. Save your artwork with smooth transparency (32 BPP alpha channel) using a file format that is compatible with Axialis IconWorkshop: BMP, PNG, JP2000, PSD. You can also transfer your work from Adobe Photoshop® using the Axialis transfer plug-in (see this tutorial) or you can create an icon by assembling several image objects (see this tutorial). 3. If the scale-1:1 preview window is not in 256x256 mode, the preview image will be cropped. It is recommended that you switch to 256x256 preview mode if you want to work with 256x256 Windows Vista icons. To switch to this mode, right-click in the preview window, a menu opens. Choose "256x256 Display". The preview window now looks as shown above in floating mode ( ). 7. Select the images formats to include in the icon ( ) by clicking on the images. To create a Windows Vista icon, it is recommended that you follow the Windows Vista specifications as specified above. Don't forget to add the 256x256 Windows Vista formats in RGB/A (Windows® XP), 256 and 16 color modes ( ). 8. To create a fully-compliant Windows Vista icon, you'll need to compress the 256x256 formats in PNG. Select the associated option ( ). 13. The compressed format (only the 256x256 formats can be compressed) are marked with this overlay PNG compression image: . You can add/remove this option by choosing Draw/Compressed Image Format (Windows Vista) or by pressing "K". You can also use the local toolbar or a right-click menu. 14. When done, save the icon by choosing Edit/Save or pressing Ctrl+S. 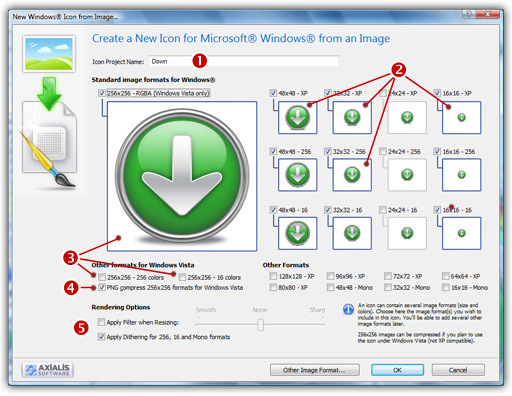 Create a 256x256 icon with all formats embedded as recommended for Windows Vista. 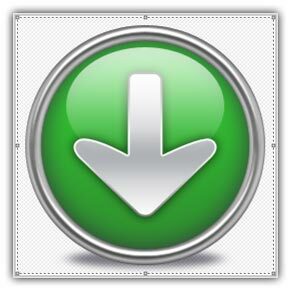 Save your icon without compressing your 256x256 formats (approximately 400Kb icon file). Once the icon is created, work on your project as usual. The compiler will handle correctly the image since it won't be a PNG image. 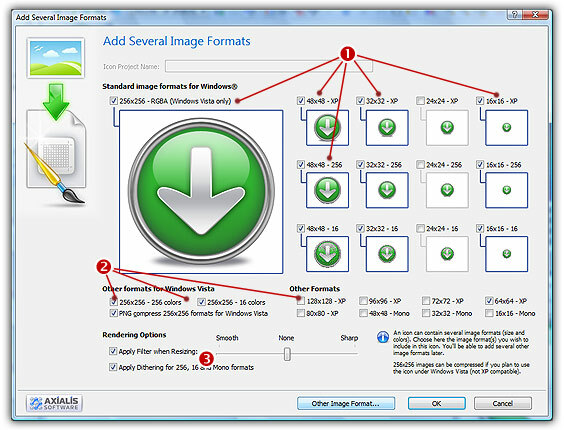 This topic explains how to compress a 256x256 image format in an icon included in a solution. This will be done by opening it in IconWorkshop using the Visual Studio® plug-in (read the plug-in introduction). This feature is available for Visual Studio 2008 only. 1. Launch the Visual Studio® IDE. 9. Switch back to Visual Studio®. The IDE prompts you "Filename.ico - This file has been modified outside of Visual Studio. Do you want to reload it?". Click Yes. 2. 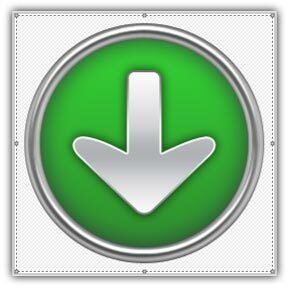 Type the name of the project ( ): "Down". 3. Now specify the format of the first image to add in the project: In Colors, choose "XP with Alpha Channel (RGB/A 32 bits)" ( ). In Size in Pixels, choose and "256x256 (Vista)" ( ). 4. As we want the 256x256 format to be used under Windows Vista, we will choose to compress it as a special PNG file: Click the option "Compress 256x256 Vista format" ( ). 6. If the scale-1:1 preview window is not in 256x256 mode, the preview image will be cropped. We recommend that you switch to 256x256 preview mode to work with 256x256 Windows Vista icons. To switch to this mode, right-click inside the preview window and a menu will open. Choose "256x256 Display". The preview window now looks as shown above in "floating mode" ( ). Use the same method to return to the previous state: choose "128x128 Display", remove the "Floating Window" option and use the mouse to dock the window. The time has come to be creative which you'll find easy and a lot of fun with IconWorkshop. Before we start, don't forget that each step of the creation can be undone/redone up to 16 steps (Ctrl+Z/Ctrl+Y). 7. In the Librarian window (choose View/Librarian if it is not visible), select the "Objects/Pack 2 - Realistic Buttons/Circle" folder ( ). 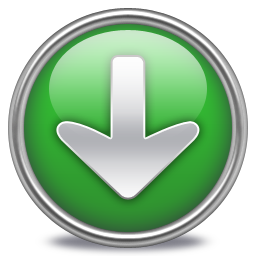 If the pack is not yet installed download and install it from this page. A list of available Object are displayed in the contents window below ( ). 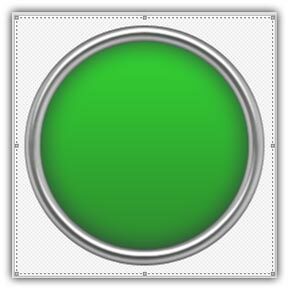 Find the "Background - Green.png" file and select it ( ). 8. 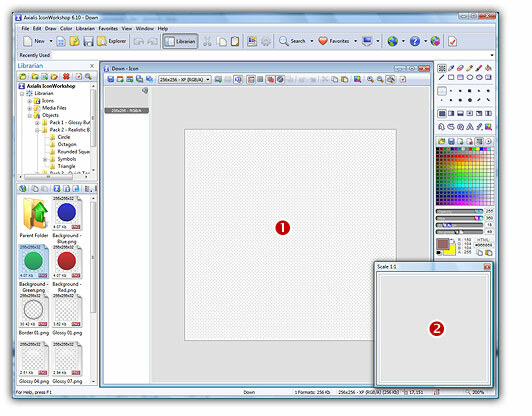 When done, use a mouse Drag-and-Drop to add it into the project as shown above ( ). The Object is added to the project as a floating selection ( ). Take a look at the quality of the artwork in the Scale 1:1 window ( ). 13. The final touch is the shadow under the icon. Let's add the "Shadow Bottom 01 - Black.png". 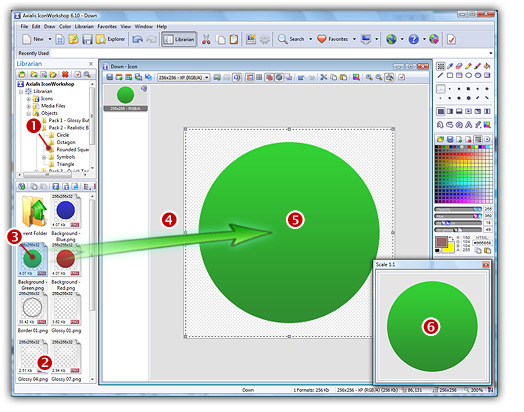 The image object is placed by default in foreground by IconWorkshop. In our case, the shadow should be placed behind the icon. A feature permits to do this in IconWorkshop: Press the End key on the keyboard. The shadow is now placed in background. Now that the largest image is complete (256x256 RGB/A), we'll create all the other formats of the icons from this one. This is done in one step with Axialis IconWorkshop Corporate Edition. Using the Personal Edition, you need to create each format manually (see the product help file for more info). 16. You can also choose to apply the dithering option to the 256/16 color images as well as adding a filter effect to smooth/sharpen the resulting images in RGB/A mode ( ). View the results in the preview images. 18. Take a moment to admire your work :) Click on the various formats ( ) and see the resulting icon at scale 1:1 in the preview window ( ). You can change the background lightness of the Scale 1:1 window simply by clicking in it using the left button of the mouse. This will allow you to see how the icon is displayed on different backgrounds with different lightness settings. 19. Save your icon: Choose File/Save or press Ctrl+S. It will be saved as Windows ICO format. Windows Vista icons deliver a new framework of icon presentation for high definition monitors and operating systems while remaining compatible with Windows® XP and lower definition screens. The larger 256x256 icon format provides additional opportunities for icon designers to explore more subtle and detailed development in their aim to create visual symbols that aid the user in their use of the computer environment.